When you’re packing for a hiking trip, you know the contents in your pack can make or break the experience. If you’re prepared, you can weather any storm that comes your way. But if you’re ill prepared, you won’t fare so well. You’ll end up wet, cold, and wishing you had never left the house to begin with. Having a good Twitter toolkit is no different. In order to make sure that your marketing strategy is as effective and efficient as possible, it’s important to have the right tools for your business. They will save you a lot of headaches. Here are 34 tools, broken down by function, that will make your Twitter marketing strategy run smoother. Every Twitter account has free access to Twitter’s Analytics Dashboard. It’s a quick and easy way to get basic stats on your Twitter activity. You can find out what Tweets are the most successful, get the demographic information of your followers, and track the performance of your Twitter cards. Twitter Engage is a companion app for Twitter that provides real time data and insights to help you understand, engage with, and grow your audience. Twitter Engage tells you who your most important followers are and highlights important mentions, such as those from influencers or advocates. It also outlines account performance and audience (through key stats like Retweets) and tracks post-by-post performance. If you’re wondering how far your Tweets have traveled, then Tweetreach is the right tool for you. You can input any Twitter hashtag, account, or keyword and Tweetreach will run a report. With a paid subscription, you can monitor Twitter reach, performance, and engagement in real time. With Hootsuite Analytics, you can measure the effectiveness of your social media outreach and easily share the results. You can gain new insights, identify social influencers, and see what content resonates best with your audience. Twitonomy gives you detailed analytics on anyone’s Tweets, Retweets, replies, mentions, or hashtags. You’ll also get valuable insights on your followers and accounts that you follow. Foller.me is a quick and easy way to scope out information on a competitor. All you need to do is enter the Twitter handle of your competitor, and you’ll get analytics on their Tweets, along with other information like timezone and follower ratio. Audiense allows you to find and build segmented audiences so that you can deliver more targeted, impactful campaigns. You can monitor your campaigns and measure their success in Hootsuite. Audiense is available in Hootsuite. Download it from the App Directory and you can use it to monitor Twitter campaigns and measure success. If you’re looking for people, places, events, or conversations happening around your customers, then mentionmapp is a great tool. Mentionmapp makes customer discovery on Twitter easier. You can drill down who your customers are talking to (and who their customers are talking to), allowing you to target your messages and content accordingly. Demographics Pro lets you do a deep dive on your customer. It offers instant access to Twitter profiles, giving you important information on gender, age, income, location, occupation, interests, brand affiliations, and audience correlations. The Demographics Pro app is free with a Hootsuite account. LeadSift is a super useful tool that identifies leads from Twitter and classifies their intent. In Hootsuite, LeadSift automatically organizes direct and indirect leads by scanning millions of conversations, letting you know who potential customers are. You can quickly scan results and find the conversations you’re looking for. The LeadSift app is free with a Hootsuite Enterprise account. Resonance allows you to discover potential customers on Twitter. It tells you who is engaging with your brand and why they’re sharing your content. You can tailor your content to your audience, turning leads into customers and customers into advocates. Resonance is free with Pro, Business, and Enterprise Hootsuite accounts. Mention has the ability to monitor billions of sources in over 40 languages, so you won’t miss another brand mention or customer conversation. This tool gives you information in real-time, so you can quickly reply and engage with customers. Keyhole lets you track conversations in real time. Your dashboard shows how many posted hashtags, Retweets, likes and impressions your content generates. Their downloadable data reports show the success of your social strategy or campaign over a period of time. Twitter Dashboard is a free tool that lets you create custom feeds to find out what’s being said about your business, beyond the Tweets that actually mention your brand. Hootsuite Insights helps you understand the conversations happening around your brand. It allows you to gauge social sentiment, respond to comments in real time, and follow key trends. You can set up automatic reporting that will save you time and allow you to share results across your entire organization. Brandwatch allows you to strengthen your social media monitoring capabilities with the power of deep listening. You can monitor brand mentions, sentiment, and trends to stay ahead of the competition. With Brandwatch for Hootsuite, you can assign and respond to mentions found within Brandwatch from your Hootsuite dashboard. Synthesio lets you measure sentiment and reputation to know how consumers perceive your brand. You can use those insights to better engage with customers and make smarter business decisions. Synthesio is available in our App Directory. Tweriod tells you the best times to Tweet. It analyzes both your Tweets and your followers’ Tweets, so you can send messages when it will have the biggest impact. Commun.it is a useful tool that organizes your conversations on Twitter and builds you a priority list of what you should respond to. It groups your followers according to various categories to help you better engage with your audience. Riffle Twitter Insights will help you build rapport with anyone on Twitter. It has a simple dashboard showing users’ social patterns, networks, and interests. Using Riffle in Hootsuite can make any engagement on Twitter more meaningful. Riffle is free with a Hootsuite account. TweetChat lets you follow the chats of a specific hashtag. When you reply to the conversation, the hashtag automatically gets added to your Tweet. Chat Salad offers a handy calendar list of upcoming Twitter chats organized by hashtag. When you log in you will get chat times converted to your timezone and receive SMS reminders about your favourite chats. Twitshot is a simple tool that helps you extract images from links and attach them to your Tweets. To get started, insert your link with your message and select the image you want to use for your Tweet. Canva makes it easy to add visuals to your social media posts. Whether you want to work within pre-made templates or upload your own photos, Canva has tons of different options to suit your content or campaign. 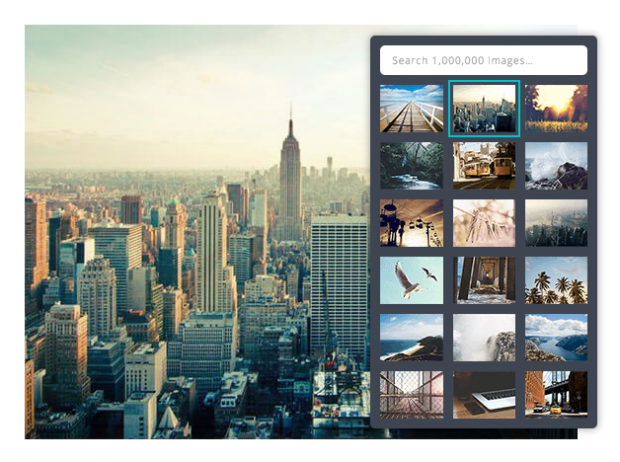 PicMonkey is a photo editing tool that helps you create beautiful photos for social media. You can upload your own photos or use the sample photos provided. This tool helps you quickly resize your images for social media. If you’re constantly wasting time resizing images manually, give this tool a try. Klear has one of the most sophisticated search engines for finding influencers. It boasts over 500 million profiles, 60,000 categories, and five years of historical data. It will give you all the right information to make sure you’re focusing on the right people. This app by Moz lets you search influencers by keywords in their social media bios, making it easier to find and connect with influencers. This tool will also give you useful demographic info on who your followers are, along with helpful data visualizations of your social activity that you can compare to other accounts. Buzzsumo shows you the most popular content being shared in your industry and identifies influential people who will be able to share it. You can filter influencers according to different categories (blogger, journalist, etc.) that will help you find the most relevant influencers to chat with. The Trendspottr app for Hootsuite allows you to search for topics by content, hashtags, and sources. 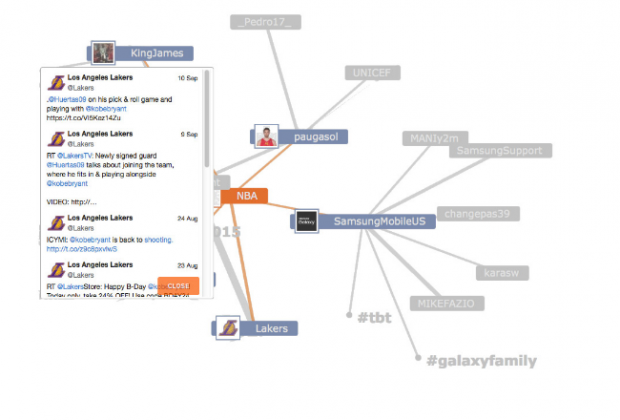 It allows you to engage with, and share, trending stories with your Twitter network. The Trendspottr app is free with a Hootsuite account. Nexalogy helps you identify key conversations happening on Twitter by analyzing the people you follow, hashtags, and search terms. It displays concepts people are talking about, the most shared links, and key influencers. The Nexalogy app is free with a Hootsuite account. ManageFlitter is a great Twitter tool for managing who you follow. It will let you quickly sort through your accounts and find people you might like to unfollow, whether they’re inactive accounts, people that have unfollowed you, or spammy accounts. Find out who follows whom on Twitter. Does Warren Buffett follow Ralph Lauren? This is also a great tool if you’re building a network of contacts or customers. Refollow lets you automatically follow people that are relevant to your brand. It helps you manage your followers and filter unwanted users.